In 1944, the Nazis razed Warsaw's historic Cathedral of St. John the Baptist. "They knew that the strength of the Polish nation was rooted in the Cross, Christ's Passion, the spirit of the Gospels, and the invincible Church," argued Cardinal Stefan Wyszynski in a letter celebrating the building's subsequent reconstruction. "To weaken and destroy the nation, they knew they must first deprive it of its Christian spirit." Wyszynski insisted that Catholicism was an integral component of Polish history, culture, and national identity. The faithfulness of the Polish people fortified them during times of trial and inspired much that was noble and good in their endeavors. Filling a sizable gap in the literature, White Eagle, Black Madonna is a systematic study of the Catholic Church in Poland and among the Polish diaspora. Polish Catholicism has not been particularly well understood outside of Poland, and certainly not in the Anglophone world, until now. Demonstrating an unparalleled mastery of the topic, Robert E. Alvis offers an illuminating vantage point on the dynamic tension between centralization and diversity that long has characterized the Catholic Church's history. Written in clear, concise, accessible language, the book sheds light on the relevance of the Polish Catholic tradition for the global Catholic Church, a phenomenon that has been greatly enhanced by Pope John Paul II, whose theology, ecclesiology, and piety were shaped profoundly by his experiences in Poland, and those experiences in turn shaped the course of his long and influential pontificate. 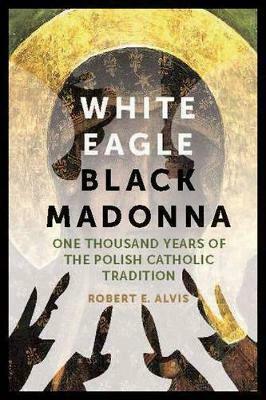 Offering a new resource for understanding the historical development of Polish Catholicism, White Eagle, Black Madonna emphasizes the people, places, events, and ritual actions that have animated the tradition and that still resonate among Polish Catholics today. From the baptism of Duke Mieszko in 966 to the controversial burial of President Lech Kaczynski in 2010, the Church has accompanied the Polish people during their long and often tumultuous history. While often controversial, Catholicism's influence over Poland's political, social, and cultural life has been indisputably profound.